Would like to win. Thanks. I really enjoyed the excerpt and I want to read this book to find out what happens to the family as they adjust to living in a new area and how the mother progresses. Thank you for this terrific post and the introduction to a new author! The words just pulled at me more to keep reading that's what intrigued me. The family dynamic. I miss my mom. I like family sagas. Thanks. Sounds interesting. I love family sagas, so that drew me in. It sounds like a book I could really get lost in. I'm intrigued by Idora Tucker, from the way Sara describes her in the excerpt...she sounds like she can make you laugh and put you in your place in one breath! 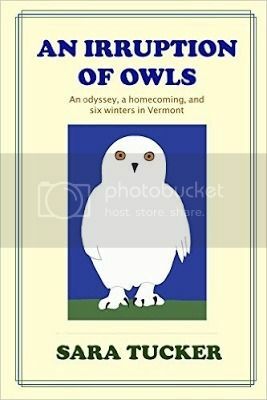 Lol :) Thank you for the giveaway chance, look forward to reading An Irruption of Owls!